Encyclopedia Brown has an uncanny knack for trivia. With his unconventional knowledge, he solves mysteries for the neighborhood kids through his own detective agency. But his dad also happens to be the chief of the Idaville police department, and every night around the dinner table, Encyclopedia helps him solve some of the most baffling crimes. With ten confounding mysteries in each book, not only does Encyclopedia have a chance to solve them, but readers are given all the clues as well and can chime in with their own solutions. 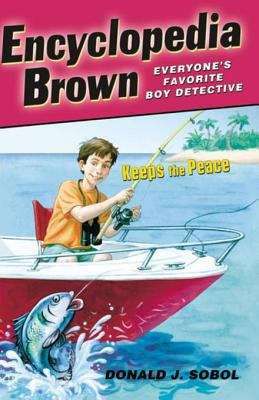 Interactive and fun--it's classic Encyclopedia Brown!